Mission Traffic Ticket & DUI lawyers - The Law Offices of Jeremiah Johnson, LLC - Mission, KS driving under the influence defense - our Mission DUI/DWI defense law firm can represent you in any Mission or Johnson County DUI/DWI case. Mission, KS driving under the influence defense - our Mission DUI/DWI defense law firm can represent you in any Mission or Johnson County DUI/DWI case. The City of Mission, Kansas has some of the strictest DUI laws in the country, relying on Kansas' DUI statute (KSA 8-1567) which calls for a jail sentence for any driving under the influence (DUI/DWI) conviction, even for first time offenders without a criminal record. Drunk driving arrests can negatively affect your life for decades, so it is imperative that you take steps to blunt the negative effects as soon as possible. Misison DUI convictions also bring fines of up to $1250 for first time offenses, $1750 for second time drunk driving convictions in Mission Municipal Court, or up to $2750 for 3rd time and higher DUI/DWI convictions which are considered felonies and will be transferred to Mission Municipal Court. Every Mission driving under the influence (DUI/DWI) conviction will also include court ordered probation, alcohol education/treatment classes, monitoring fees, and court costs. Clearly a drunk driving charge in Mission is not something to be taken lightly and calls for an aggressive Mission DUI defense attorney. It is also important to note that, in nearly every Mission DUI case, the driver will also be subject to a driver's license suspension. This driver's license suspension will be automatically imposed unless the driver or their Mission DUI attorney request an administrative hearing within 14 calendar days of their arrest. The proposed period of a driver's license suspension will vary based on the circumstances of the arrest and the driver's record. You can learn more about the length of driver's license suspensions below. The CIty of Mission's strict driving under the influence (DUI/DWI) laws are enforced by the Mission Police Department which prides itself on detecting and arresting drunk drivers. On nearly every evening, Mission police can be found on a small stretch of I-35 or along Shawnee Mission Parkway, monitoring traffic with radar and laser (LIDAR) guns. Once a driver is pulled over for speeding, the Mission police officers will look for signs that a driver has been drinking. 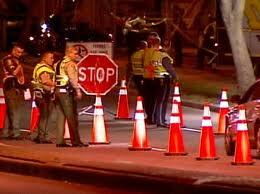 The DUI investigation will go from there and seldom ends up in anything but a DUI arrest. Mission police officers are highly trained in detecting what they perceive as "signs of intoxication," and will often take steps to transform normal traffic stops into DUI investigations. These signs include everything from the way a driver talks and walks, to the way a driver retrieves their driver's license and insurance information. These signs of detection used by Mission Police Officers also include the standardized field side sobriety tests (SFSTs). 30 day driver’s license suspension, followed by a 180 day ignition interlock requirement unless the driver has a prior conviction for open container, minor in possession of alcohol, driving while suspended (DWS), driving without insurance, registration violations, or any prior driver’s license suspension. In that case, the ignition interlock requirement will be 1 year. 1 year driver’s license suspension followed by a 1 year ignition interlock requirement. After 45 days of suspension, the driver can apply to the Division of Vehicles for an ignition interlock restriction for the remainder of the suspension for the purposes of getting to and from work, school, an alcohol treatment program, and their ignition interlock provider. 1 year driver’s license suspension, followed by a 1 year ignition interlock requirement. 1 year driver’s license suspension, followed by a 2 year ignition interlock requirement. 1 year driver’s license suspension, followed by a 3 year ignition interlock requirement. 1 year driver’s license suspension, followed by a 4 year ignition interlock requirement. 1 year driver’s license suspension, followed by a 10 year ignition interlock requirement. * occurrence is defined by the Kansas Department of Revenue (KDR) as any prior DUI/DWI/OWI conviction, diversion, or driver’s license suspension. A conviction and suspension from one arrest counts as one occurrence. At the Law Office of Scott McFall, LLC, our attorneys handle hundreds of driving under the influence and traffic cases in Mission Municipal Court and throughout Johnson County each year. We understand that being arrested for drunk driving is not even close to meaning that a driver should be convicted of driving under the influence. Our law firm's DUI/DWI attorneys understand that the standardized field side sobriety tests ('SFSTs") are poor indicators of intoxication and that breath test machines such as the Intoxilyzer 8000 can be highly inaccurate in many circumstances. We challenge the methods used by police officers in Mission, Kansas to arrest drivers for DUI/DWI and we pour through the breath test records for errors or mistakes which can lead to the suppression of breath test results. In Kansas, it is against the law to drive or attempt to operate a motor vehicle while having a blood or breath alcohol concentration (BAC) of .08 or above. If you break this law, you have a lot to lose. Drivers convicted with a BAC of .15 or greater could face sanctions above the penalties listed here. You will receive 48 hours of mandatory imprisonment or 100 hours of community service and must complete a court ordered alcohol and drug safety action education program and/or treatment program (at your expense). In addition, you will be fined $750 to $1,250 plus court costs, probation and evaluation fees. Your driving privileges will also be suspended for 30 days, then restricted for an additional 330 days or 180 days, depending on your driving record, if you provide a breath sample. Your license will be suspended for one year if you refuse to provide a sample. Your vehicle can be impounded for up to one year. You will receive 90 days to one year imprisonment and will be fined $1,250 to $1,750 plus court costs, probation and evaluation fees. You must complete the court ordered treatment program for alcohol and drug abuse (at your expense). Your driving privileges will be suspended for one year or longer. After a one-year suspension of driving privileges is completed, you are restricted to driving only a motor vehicle equipped with an ignition interlock device for one year. This mechanism makes it impossible for anyone who is intoxicated to start the motor vehicle. Proof of such device’s installation and use shall be provided to the Division of Motor Vehicles before driving privileges are fully reinstated. You will be charged with a felony offense, receive 90 days to one year imprisonment and be fined $1,750 to $2,750 plus court costs, probation and evaluation fees. Your driving privileges will be suspended for one year. After a one-year suspension of driving privileges is completed, you are restricted to driving only a motor vehicle equipped with an ignition interlock device for one year. Proof of such device’s installation and use shall be provided to the Division of Motor Vehicles before driving privileges are fully reinstated. You will be charged with a felony offense, receive 90 days to one year imprisonment and be fined $2,750 plus court costs, probation and evaluation fees. Your driving privileges will be suspended for one year. Any court may revoke a person’s license plate or temporary registration for a period of one year. After a one-year suspension of driving privileges is completed, you are restricted to driving only a motor vehicle equipped with an ignition interlock device for one year. Proof of such device’s installation and use shall be provided to the Division of Motor Vehicles before driving privileges are fully reinstated. At the end of the incarceration/work release program, you will be placed in the custody of the Secretary of the Kansas Department of Corrections for a one-year period of post-release supervision which shall be required to include completion of a drug/alcohol treatment program (at your expense). You will be charged with a felony offense, receive 90 days to one year imprisonment and be fined $2,500 plus court costs, probation and evaluation fees. Your driving privileges will be permanently revoked. * All Information intended for educational purposes only. * Administrative actions (driver's license suspensions and other penalties) are the responsibility of Department of Revenue. Questions call 785-296-3671. The Kansas Legislature passed stiffer penalties effective July 1, 1996, for those convicted of involuntary manslaughter while driving under the influence. If sentenced under this law, you will likely receive imprisonment, ranging from 38 to 172 months. A new law passed in 2001 amends the criminal history classification law dealing with the crime of involuntary manslaughter while driving under the influence of alcohol or drugs to provide that a prior DUI violation of another state's law of a city ordinance or county resolution shall count for criminal history purposes as a person felony. Any person convicted of a DUI who has a child under 14 years of age as a passenger shall have their punishment enhanced by one month of imprisonment. The enhanced imprisonment must be served consecutively to any other penalty. Kansas law classifies certain driving under the influence cases as “felony DUI” charges. A felony driving under the influence (DUI/DWI) charge is an extremely serious matter. What makes a Johnson County driving under the influence charge a felony? Felony DUI charges in Johnson County are usually the result of a driver’s prior convictions or diversions. 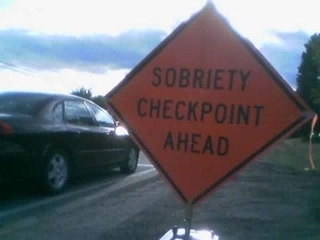 Kansas law allows prosecutors to use all diversions or convictions (including convictions with a suspended imposition of sentence “SIS”) in a person’s lifetime to be used against the driver in a felony DUI prosecution in District Court. If the defendant in a pending driving under the influence case has two, three, or more prior DUI convictions or diversions in their entire life, then the case should be heard in Johnson County District Court or another Kansas District Court. 3. House arrest: House arrest is often a condition of bond for those charged with felony driving under the influence in Johnson County. Folks are allowed to go to work while on house arrest, but that is about it. A machine will be installed on the DUI defendant’s phone line which will require them to blow into the machine at random times. If the accused does not blow into the machine, or if the machine shows that the person has been drinking, then they will be likely find a police officer at their door and their bond may be revoked, with the judge ordering them back to jail pending a resolution in their case. What are the penalties for being conviction of a felony DUI charge in Johnson County or elsewhere in Kansas? Kansas law (8-1567) makes a third or higher lifetime conviction punishable by up to 1 year in jail, a 12 month probation, a $2500 fine, court ordered alcohol/drug treatment (including in-patient or intensive out-patient treatment), a driver’s license suspension of 1 year, 3 years, or longer, and court costs, fees, etc. Kansas has a “lifetime lookback,” meaning that any convictions or diversions for driving under the influence, driving while intoxicated, or a similar state or municipal statute or ordinance will count as a “prior conviction” or “prior occurrence” under Kansas law. If the Johnson County District Attorney’s Office, or another prosecutor can persuade the court to accept competent evidence of two or more “prior convictions” or diversions for a person, then that person can be convicted of felony driving under the influence in Johnson County District Court. It is not as easy as it sounds, there are dozens of ways our DUI defense law firm’s lawyers can challenge the “prior convictions” offered by prosecutors. The DUI lawyers in our Johnson County DUI defense firm never take the prosecutor’s “word for it” when considering the admissibility of our clients’ prior convictions. In fact, the Johnson County DUI defense attorneys in our office do not care how many times your have entered into diversion or have been convicted of DUI or a similar offense, we only care what the prosecutor can prove. Case law in Kansas tells us that only certain “prior convictions,” as alleged by the Johnson County District Attorney’s Office (or other prosecutor) can be entered into evidence against a defendant. Our firm’s DUI defense attorneys utilize all of the case law in every felony DUI case in an effort to secure an acquittal on a felony DUI charge, or at the very least, to ensure that the prosecution amends the charge to a misdemeanor. First, in most cases, the prosecutor in a Kansas driving under the influence (DUI/DWI) case must be able provide a certified journal entry which contains a number of requirements discussed below. If the court in question has destroyed the journal entry, cannot find the journal entry, or if the journal entry is not properly certified, then the “prior conviction” may not be admissible to enhance a DUI conviction from a misdemeanor to a felony. However, other states and cities have or had laws on the books which do not properly fit the definition of “substantially similar,” and should not be allowed into evidence in a Johnson County felony DUI prosecution. For instance, Colorado has a “driving while impaired” statute that defines the crime as having a blood alcohol content of .04 or more. Since Kansas’ DUI statute (KSA 8-1567) defines a DUI as .08 or more, then a Colorado “driving while impaired” conviction or diversion should not count as a “prior conviction” under current Kansas law. Similarly, many cities in Missouri (and even a few in Kansas) have “blood alcohol content” violations which allow a conviction at .04 or higher. Convictions of a “BAC violation” should not count as a prior conviction under current Kansas law. Another requirement of a valid “prior conviction” is that the prosecution must be able to show that the defendant was represented by counsel when convicted of the “prior conviction” or diversion agreement. If the DUI prosecutor cannot demonstrate that the defendant was represented by an attorney, then the Johnson County District Attorney’s Office must be able to show that the Defendant was properly informed of his rights to an attorney and properly waived those rights, as defined by case law. What this means is that, even if the Assistant District Attorney can provide the court with a certified journal entry, it may not count as a “prior conviction” if the journal entry does not contain a record of the defendant being represented by an attorney or being advised of their rights and waiving those rights. This requirement is very important because municipal (city) courts (such as Olathe, Overland Park, Leawood, Lenexa, and Mission) only recently began recording whether an attorney was representing a defendant or that a defendant was properly advised and waived their rights to an attorney. Thus in many cases, our firm’s DUI attorneys can keep prior convictions out of evidence simply because the State’s prosecutor cannot provide the proper records to the Court. What courts have jurisdiction over felony driving under the influence charges? What are some possible defenses to a felony driving under the influence (DUI/DWI) charge in Johnson County District Court? A. It shall be unlawful for any person to operate a motor vehicle within this City when such person's ability to operate a motor vehicle safely has been impaired by the use of alcoholic liquor or cereal malt beverage as defined in Section 600.010 of this Code.